The University mascot is a Chesapeake Bay Retriever (which is the state dog of Maryland) named True Grit. Offspring2 and I exchange dog videos and memes daily – how could I pass up the opportunity with the card? Supplies: Stamps – A Muse Artstamps, Stampin’ Up!, Taylored Expressions, paper – Neenah Classic Crest Solar White, Stampin’ Up! Basic Black, Daffodil Delight, Soft Sky, Taylored Expressions Build A Scene, inks – Copic E33, R29, Y18, VersaFine Onyx Black, dies – Lawn Fawn (stitched hillsides), Spellbinders (oval), Taylored Expressions (tassle), embossing powder – Ranger clear. 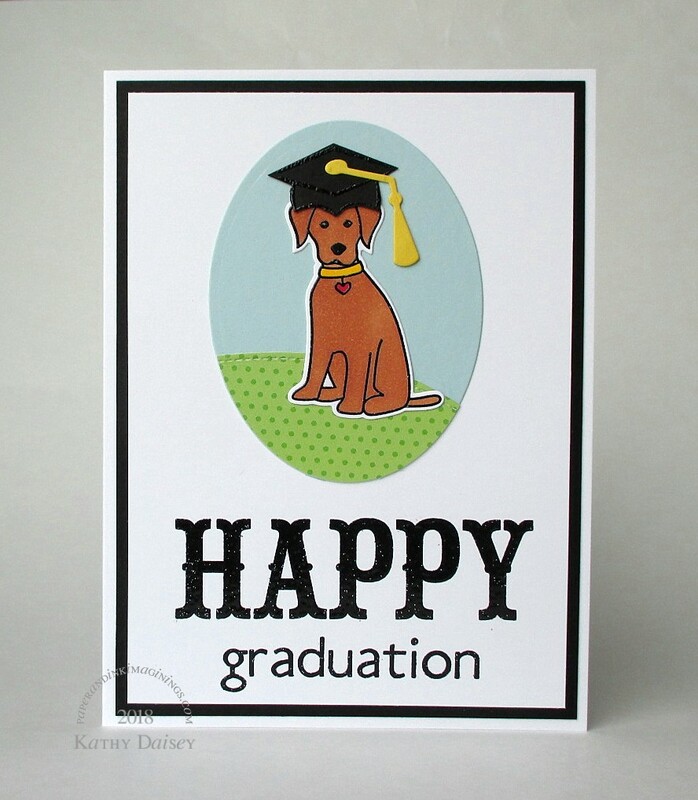 Categories: card, graduation | Tags: A Muse Artstamps, card, Copics, Lawn Fawn, Neenah, Ranger, Stampin' Up!, Taylored Expressions, Tsukineko, VersaFine | Permalink.